I was busy writing about the proposed creation of a truth commission as tabled by the government’s negotiating team and the FARC in Havana, Cuba when the news came through this morning announcing exploratory peace dialogues with the ELN. Hurrying to complete the piece on what the truth commission means to Colombia, all of my thoughts ran back over last year’s studies and texts at the Javeriana University in Bogotá and my course in Conflict Resolution. That both sides are prepared to engage in exploratory talks is very positive indeed. Even the most cynical out there suggesting that this is merely a ploy by President Juan Manuel Santos to win the second round of the presidential elections here on June 15 have to agree that at the very least this is positive. Of course the nay sayers may have a point too. I am sure President Juan Manuel Santos is right now in the Palacio de Narino, rubbing his hands together or stroking a Blofeld cat wondering how his challenger Oscar Ivan Zuluaga can respond to this most recent play. But, I wanted to address this blog to both cynics and believers. There is a great deal of importance to the timing of the announcement of peace dialogues with the ELN. In Colombian politics at the moment there are clearly two fundamental dynamics which lead to and have historically led to conflict exacerbation, polarization and dissociation. But, there is the chance (even seen by the greatest cynics) that there exist possibilities and dynamics for conflict mitigation such as demobilization/ demilitarization, de-escalation, de-isolation and re-communication. If these can be bested, then, we are well on the right course. A few points as to the importance of the peace dialogues with the ELN. 1. The Ejercito Nacional de Liberacion may consist of 3000 combatants, maybe more maybe less depending on who you read, but they have been resistant (they date back to 1964) and they are strategically positioned about the country in key corridors, mining regions and along the border with Venezuela. 2. 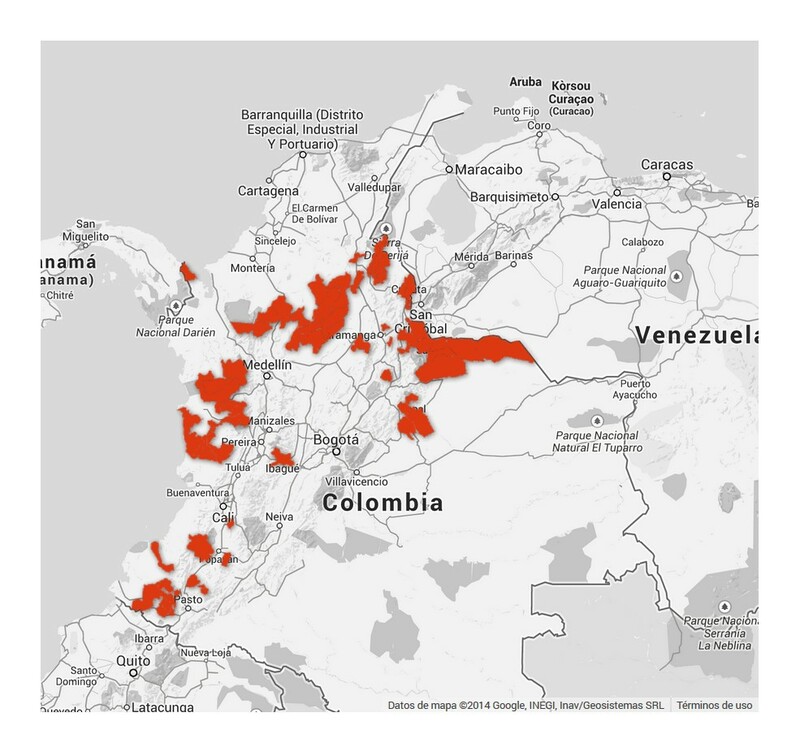 Not only are these strategic areas, they are extremely important to the Colombian economy. Just look at what happens every time the ELN bombs a section of the Cano Limon – Covenas pipeline. Think not only of the economic repercussions but also the environmental ones. 3. These peace dialogues need to take place at the same time as those on-going with the FARC so that the ELN – while smaller – feels on equal footing as their revolutionary kin. 4. Very importantly, should something lasting, say an actual peace agreement, be signed with the FARC, the last thing we need are those who remain true to their revolutionary cause to fall into the rank and file of the ELN and swell the numbers of Colombia’s second largest guerrilla group. Colombia requires change and a dynamism with which to enter a new phase in her history and if we quote Christopher Mitchell in Conflict, Social Change and Conflict Resolution change can be seen and acted out in the following ways. So, we’ll wait and see how this all progresses. This is a fascinating time for observers of peace processes as now we can debate on where the peace talks will take place, hopefully outside of Colombia, who will attend and how they will be managed. Watch this space. This entry was posted in Journalism and tagged christopher mitchell, colombian presidential elections and peace talks, conflict resolution, Ejercito de Liberacion Nacional, ELN, FARC, Fuerzas Armadas Revolucionarias de Colombia, importance of peace talks, javeriana university, kidnapping in colombia, National Liberation Army, oscar ivan zuluaga, peace talks with ELN, peace talks with farc, president santos. Bookmark the permalink.